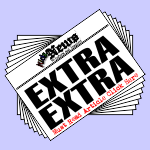 Those of you, who like finding simple solutions to big problems, will enjoy this story. Be warned that it is not a story for the faint-of-heart. It contains graphic images of children being saved from death by a simple gooey paste. The problem is that some children have nothing to eat and are dying of hunger! This is happening in our world! And it is happening today! Those of you, who are reading this now, will probably never see such a child. It is hard to imagine how some people pour their milk down the drain, when Mom is not looking (you know who you are) and others, at the same time, don’t have any milk to drink and could die of malnutrition. Why don’t their mothers give them milk? They have no milk to give. The mothers are also starving and are not producing enough milk. OK, why don’t we just send them the extra milk we have? Well… because they have no refrigeration. The milk will spoil very quickly and no one can drink it. Hmmm, why don’t we send them powdered milk and they can just add water? The thing is that they don’t have any clean water that is suitable for drinking. Most of their water is contaminated with various deadly diseases. We have found a simple solution – it’s called Plumpy’nut. It solves all the above mentioned problems – It is a revolutionary peanut-paste made with milk powder, whey, sugar, oils, vitamins and minerals. 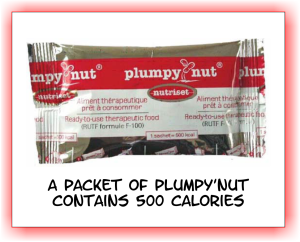 Plumpy’nut has a two year shelf life and requires no water, no preparation, and no refrigeration. 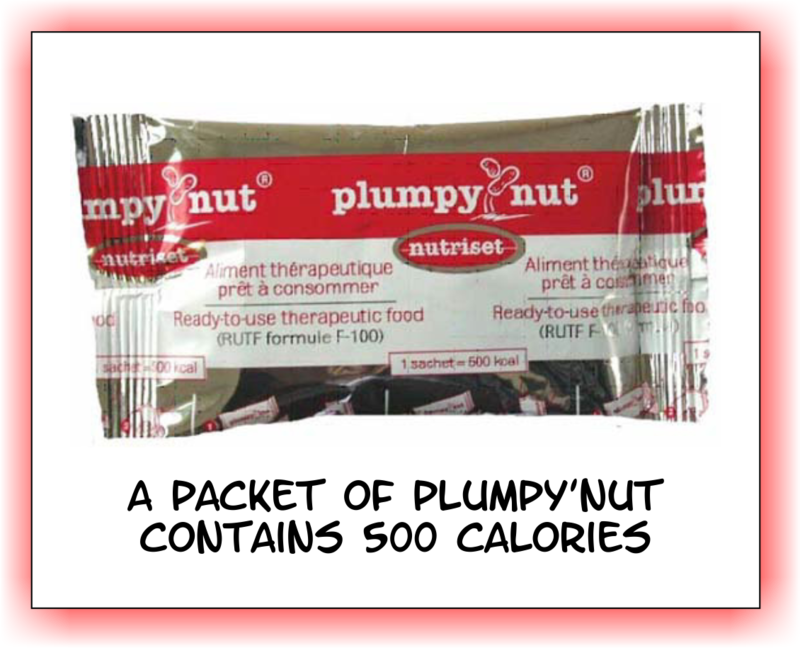 Plumpy’nut was invented by two French guys: André Briend, a nutritionist, and Michel Lescanne, a food engineer. 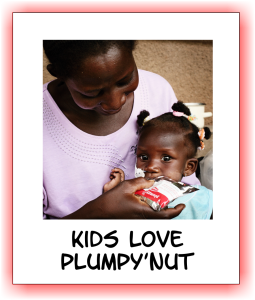 Plumpy’nut is directly responsible for saving the lives of thousands of children around the world! Two or three packets a day of the sweet stuff can bring a severely underweight child to a healthy weight range in three to six weeks. In some regions, Plumpy’nut treatments boast a 90 percent success rate! 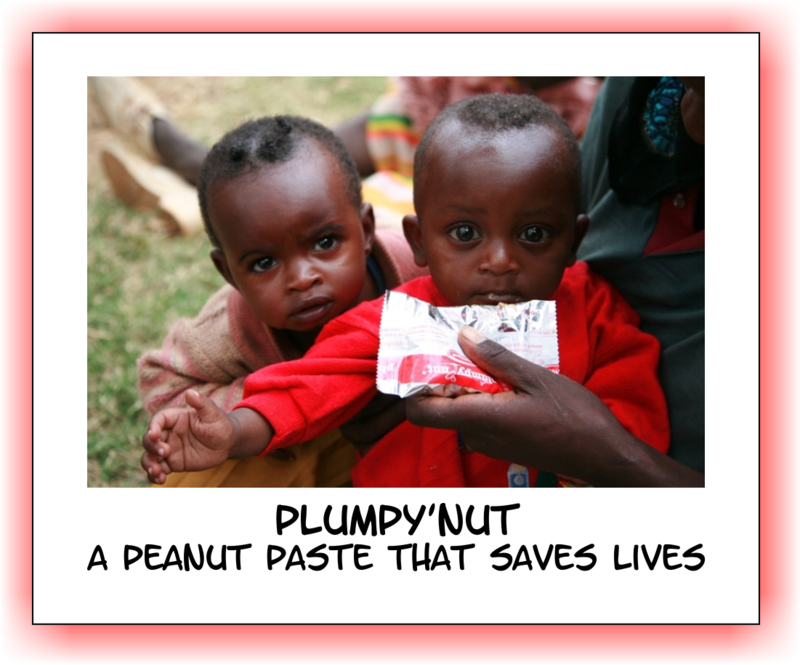 The peanut paste has been embraced wholeheartedly by humanitarian organizations like UNICEF, WHO, and the World Food Programme (WFP), which buy thousands of tons of Plumpy’nut each year. Fun Fact: Plumpy’nut was inspired by the hazelnut chocolate spread called Nutella. Below is a film about Plumpy’nut. As we mentioned earlier – it is not for the faint-of-heart.